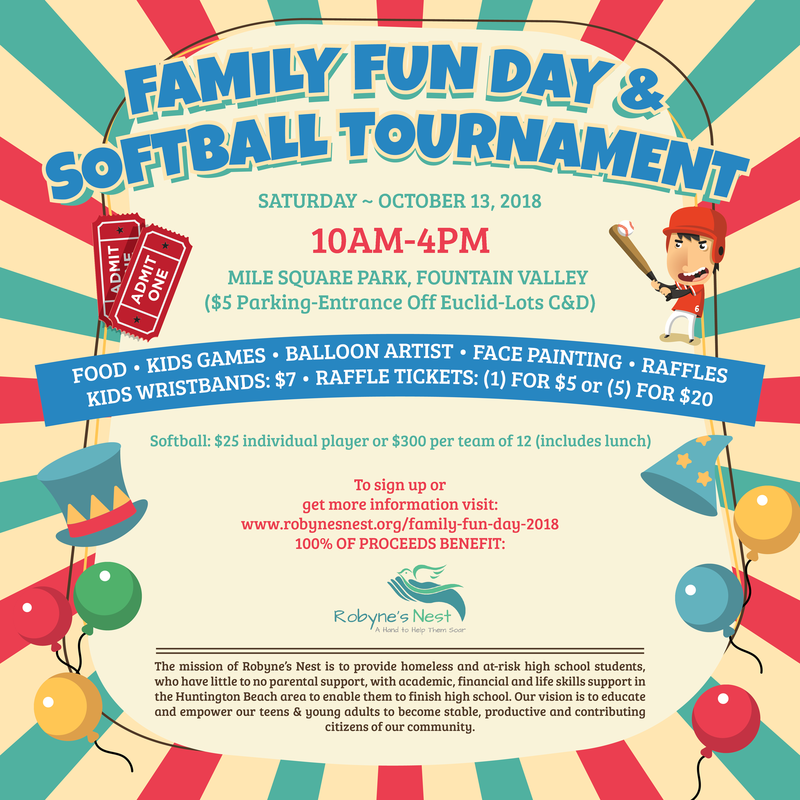 Join us for our 1st Annual Family Fun Day on Saturday, October 13 from 10am to 4pm. We are organizing six teams to play for the Robyne’s Nest Family Fun Day trophy. Sign-ups are $25 per team member or $300 for a team of 12. Additional lunches can be pre-purchased for a discounted cost of $5 for additional family or friends attending the event with you. There will be children’s games, face painting, balloon animals, and more at the event. Wristbands for unlimited access to the children’s event can also be purchased for $7. Banner sponsors get their banner (sponsor provided) hung on the field, can bring their own table/ez-up to promote, recognized in our promotions on social media and have the opportunity to contribute items to the player swag bag.